A native Californian, Christie Curtis specializes in grammar and writing curriculum development. Her most recent book, Grammar and Writing 3 (piloted in 2015–16), was co-authored with Mary Hake and is one of six grammar and writing textbooks in their series. Utilizing her experiences as a former public and private school teacher, she has authored student editions, teacher editions and supplementary workbooks for Grammar and Writing 3, Grammar and Writing 4, Grammar and Writing 5, Grammar and Writing 6, Grammar and Writing 7 and Grammar and Writing 8. 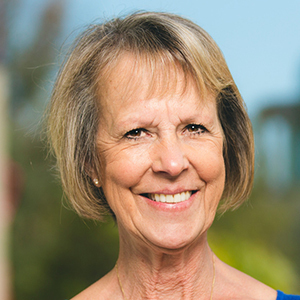 She has written weekly "Grammar Gems" for Biola University's Inside Story, and has provided teaching seminars for Biola's staff and faculty in her areas of expertise: grammar, sentence structure, spelling, proofreading, editing, revising and communication (both oral and written). Professor Curtis has spoken on a variety of topics at the conventions of the Association of Christian Schools International in Anaheim. Her passion for grammar infects those who enroll in her professional writing course. She believes that everyone should know the reasons for their word choices and sentence structures. Mentoring her students provides personal joy as she finds ways to relate to her students at a deeper level. Professor Curtis has been married for 44 years and enjoys spending time with her husband, children and grandchildren. Their family activities include weekly surfing trips, excursions to national parks and an annual week of camp with the entire family at Forest Home Christian Conference Center. Kim, Y. K., Curtis, C. J., Edens, D., Iorio, M., & Romero, E. (2014, August, in review). Cognitive Skills Development Among International Students.Journal of Studies in International Education. Curtis, C. J. (2010). Grammar Gems. Inside Story. La Mirada, CA: Biola University. Curtis, C. J., & Hake, M. E. (2009). Grammar and Writing 5. Teacher Packet. Orlando, FL: Houghton Mifflin Harcourt. Curtis, C. J., & Hake, M. E. (2009). Grammar and Writing 5. Workbook. Orlando, FL: Houghton Mifflin Harcourt. Curtis, C. J., & Hake, M. E. (2009). Grammar and Writing 5. Student text. Orlando, FL: Houghton Mifflin Harcourt. Curtis, C. J., & Hake, M. E. (2009). Grammar and Writing 7. Teacher Packet. Orlando, FL: Houghton Mifflin Harcourt. Curtis, C. J., & Hake, M. E. (2009). Grammar and Writing 7. Workbook. Orlando, FL: Houghton Mifflin Harcourt. Curtis, C. J., & Hake, M. E. (2009). Grammar and Writing 7. Student text. Orlando, FL: Houghton Mifflin Harcourt. Kim, Y. K., Curtis, C. J., Edens, D., Iorio, M., & Romero, E. (2014, April). Cognitive Skills Development Among International Students. Presented at the convention of the American Education Research Association, Philadelphia, Pennsylvania. Curtis, C. J. (2013, January). Business Writing and E-mail Etiquette. Seminar presented at Biola University, La Mirada, CA. Curtis, C. J. (2012, November). Spelling Secrets. Seminar presented at the convention of Association of Christian Schools International, Anaheim, CA. Curtis, C. J. (2011, November). Troublesome Words. Seminar presented at the convention of Association of Christian Schools International, Anaheim, CA. Curtis, C. J. (2010, November). How To Communicate Well. Seminar presented at the convention of Association of Christian Schools International, Anaheim, CA. Curtis, C. J. (2009, November). Pitfalls in Grammar and Writing. Seminar presented at the convention of Association of Christian Schools International, Anaheim, CA. Curtis, C. J. (2009, January). Lots of Letters. Seminar presented at Biola University, La Mirada, CA. Curtis, C. J. (2009, January). Revising, Editing, and Proofreading. Seminar presented at Biola University, La Mirada, CA. Curtis, C. J. (2009, January). Spelling Secrets. Two-part seminar presented at Biola University, La Mirada, CA.